Maybe you love sports. If so, transforming your basement into a rec room where you can, say, shoot pool and watch football games on a big screen with your best friends may feel like a dream come true. Or, maybe you just need an extra bedroom and/or more bathrooms for your growing family. Either way, read on. Well, that sounds just like a normal basement, pre-remodel. And in this post, we’ll share steps to help you turn that cold concrete into a livable (and even lovable!) living space, as well as providing information about a typical basement remodel cost. We’ll start out by sharing inspirational remodeling ideas, so you can solidify what you want your finished basement to look like, and then we’ll do some reverse engineering for you, including an excellent way to finance your remodeling project. Before you can get started on the enjoyable parts of transforming your basement, there are a few steps that are important to take, one of which is to investigate levels of moisture. After all, basements can get pretty damp. To test your basement for moisture, get squares of plastic sheeting and tape them to the flooring and walls. Wait two weeks before checking for condensation. If it’s forming beneath the plastic, you know your foundation is not sealed. If the water droplets are on top, you need to dehumidify. You’ll also want to check for rot in floor joists, wooden-framed windows, sill plates, and more, using an awl. (This is also how to check for any insect damage.) It’s also important to be sure that your floor joists aren’t sagging. You can tell by climbing on a ladder until you’re just about eye level to the joist undersides. Look across them. Are any out of line? It’s also not a bad idea to have an HVAC expert check your house’s heating system, as well as the home’s overall ventilation system, to help ensure carbon monoxide buildup won’t be a problem. Also, consider “boxing in” your heating system, pipes and so forth—if they’re exposed—in a way that will allow them to be easily maintained, making a sort of “utility room” that’s separate from the rest of the basement. Now it’s time to determine, big picture, what you want your basement to become. This can range from wanting to create a playroom for your children, to a rec room for adults, to an extra bedroom, to a family den. Do you want your remodeling project to have flexibility in its use or is it intended for one dedicated purpose? For example, you may want a room that, during the day, is ideal for your children to use while entertaining friends, while at night you can host adult-only parties. Or you may know that it’s intended solely for office space when you telecommute. Knowing how much flexibility you need will help guide you in your design. And no matter what you decide, you’ll probably want your design to combine necessary functionality with the look, feel, and degree of comfort you want. First, make sure you get any necessary permits. Do you know what will need to be inspected when you’re done? Perhaps your plumbing if you’re adding a bathroom or installing a wet bar—or you may need to have electrical work inspected. Be sure to check with your local government for the most accurate information and guidance, so there are no costly “do-overs” if you’ve run afoul of zoning laws, for example. Adding framing to the walls will help your basement start to look like a room. If you plan to hire someone to do this work, then great! If you plan to do it yourself, make sure you have the proper vapor barrier installed, which aids in moisture control and provides a layer of insulation. You’ll also want to create an offset space from the outside wall, perhaps by using metal furring strips or thin slats of wood. This will further help address moisture issues and will make the wall surface more flat, which is a necessary step before you begin building your walls. This is also the time to insulate. Because basement walls are typically made of cement, block or brick, you can’t just attach framing with nails or screws, so you may need to rent a shotgun fastener . This type of work requires a bit of skill and depending on your background, may make sense to subcontract out. Drop ceilings are a great way to cover less-than-attractive basement ceilings, while also giving you easy access to electrical wiring, plumbing lines and so forth. Although you might envision drab, office-like tiles, numerous options now exist, with one quick look on Pinterest providing plenty of inspiration. Remember, of course, that this option reduces the overhead space in your basement. Flooring is crucial, of course, and The Spruce rates 10 basement remodeling ideas, with pros and cons for each. As you read the article, you’ll notice a pattern about what’s important in basement remodels: moisture control. “Basement flooring,” the article says, “does not play by the normal rules of flooring. Even when weather is dry basement flooring can leach residual moisture in the form of vapor due to its close proximity to the ground.” Choose wisely. Other considerations, as with all remodels, are HVAC, plumbing, and electrical work. Don’t skimp on the electrical work for your own safety and the safety of your family. Where you live, of course, can make a significant difference in what your basement remodel cost will be. Nationally, the average cost is around $19,000, according to Home Advisor . At this site, you can plug in your ZIP Code to see cost estimates for your area. 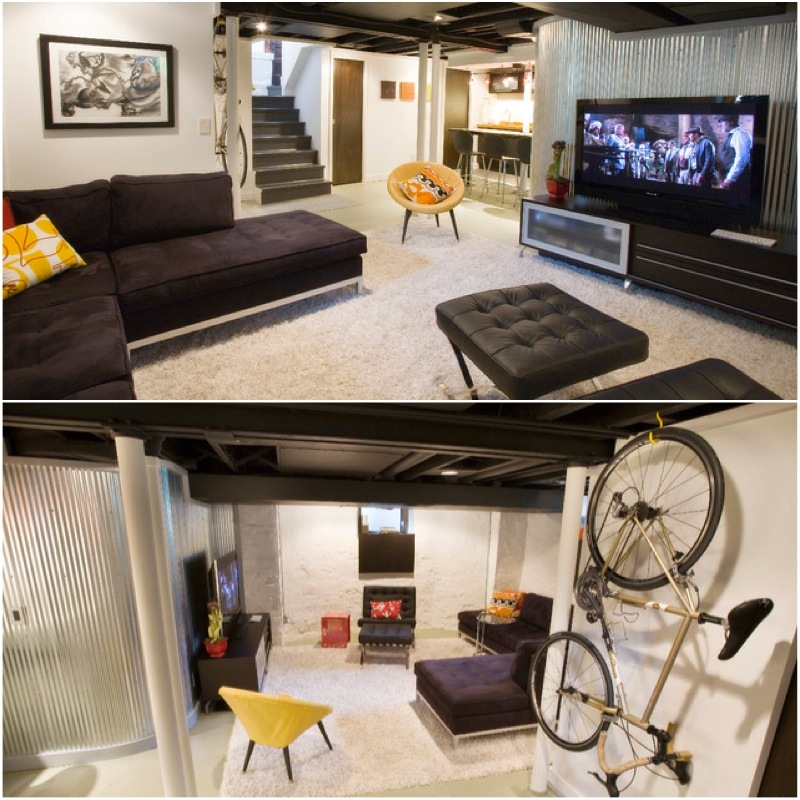 The most basic basement remodel cost tends to be around $4,500, with the high end being around $42,000. 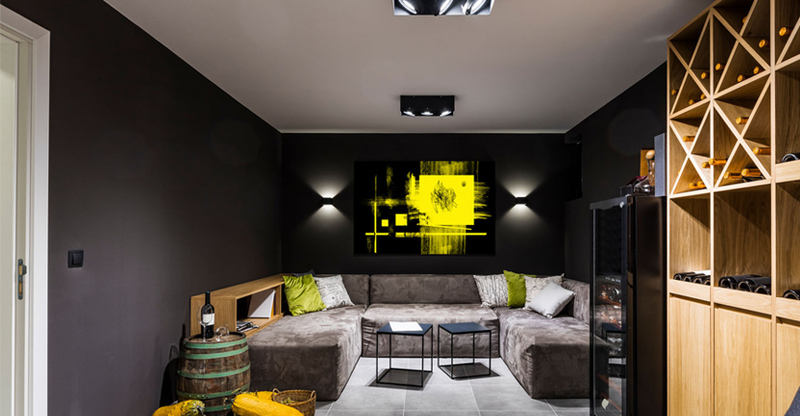 Converting your basement to a living area is one of the most valuable investments you can make in your home, according to a survey conducted by the National Association of REALTORS® . This survey reported that 63% of value was recovered from basement renovation projects. And if you add custom features to your basement (perhaps a home theater or a wet bar), there could be an even greater return on your initial investment—for your own happiness! The same survey reported that 81% of homeowners had a greater desire to spend time at home after completing their basement remodeling project. As one more example, drywall (after you’ve framed the walls) can cost between $10 to $20 in materials for a standard 8’x4’ panel, with installation costs averaging about $1.50 per square foot. On average, a newly installed basement wall costs $1,915. Once you’ve determined how you want to transform your basement and estimated how much your basement remodel will cost, you can look into a SoFi home improvement loan to help cover the costs. Use our personal loan calculator to figure out what your payments will be on the amount you’re estimating for your remodel. It’s probably a good idea to include a cushion for unexpected costs, as well as for any upgrades you might decide to make along the way. You might, for example, have decided that laminate flooring would work just fine, but after seeing how everything else is coming together, you could decide to splurge on that gorgeous hardwood flooring. If you really want to move ahead on that remodel, and are ready to carefully build your budget, here are some of SoFi’s best tips to consider when remodeling on a budget. And if you find that you need to adjust your remodeling budget, we can help there, too. Here’s the bottom line: A personal loan from SoFi.com is a smart choice for virtually any basement remodel, especially when compared to high interest rate credit cards. 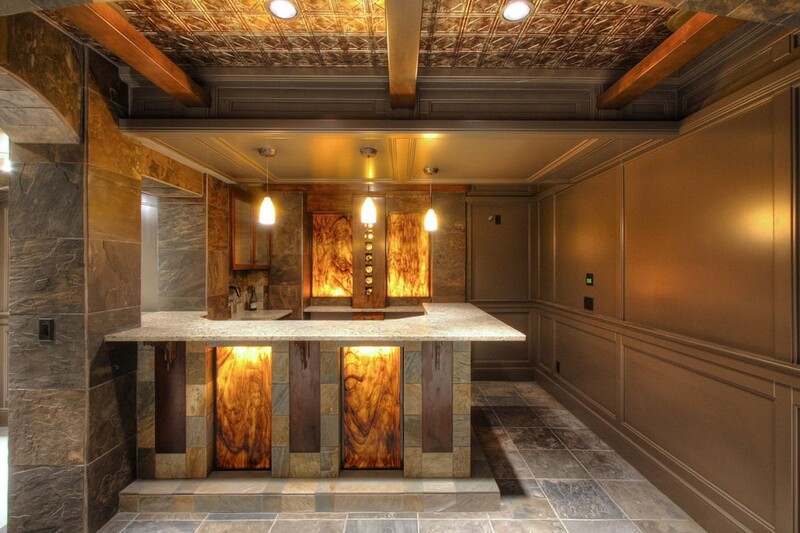 We look forward to helping you create the basement remodel of your dreams!